The Lynchburg-Clay Mustangs varsity Baseball team gathers for a team photo in the Lynchburg-Clay High School gym. The team is made up of Austin Barnhill, Ethan McConnaughey, Chase Smaltz, Drew Pitzer, Austin Proctor, Briar Bourne, Hunter Barnhill, Damin Pierson, Zairan Bourne, Caden Hess, P. J. Fiscus, Alex Barber and Josh Wolfe. The Lynchburg-Clay Mustangs will rely heavily on the group of seven seniors and one junior that return to the program in 2019 after a less than ideal 2018 season. The Seniors in that group are center fielder/pitcher Drew Pitzer, in fielder/out fielder/pitcher Damin Pierson, catcher Josh Wolfe, in fielder/pitcher Ethan McConnaughey, in fielder/pitcher Caden Hess, first baseman P. J. Fiscus and out fielder/pitcher Austin Proctor. The Junior returner is infielder/pitcher Alex Barber. Pitzer, Pierson, Hess and Proctor each pitched at least 18 innings for the Mustangs in 2019 with Pitzer leading the way with 28 and two thirds innings, 41 strikeouts and a 2.44 earned run average. McConnaughey and Barber each registered nine and one third innings for Lynchburg last season as Barber posted the best earned run average of the six returning pitchers at 2.25 with nine strikeouts. 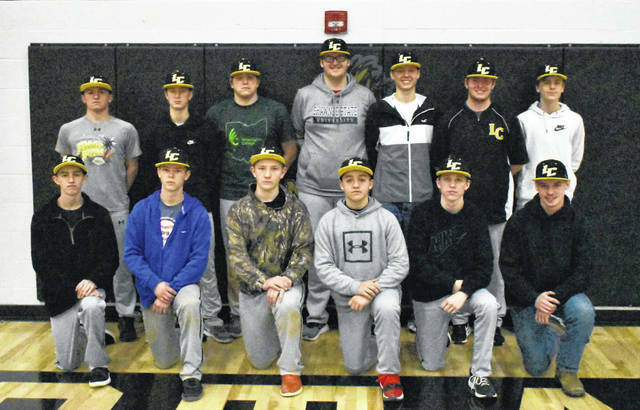 Lynchburg-Clay Baseball Head Coach Vince Pitzer said that he is anticipating a very competitive season for the Mustangs with the pitching that is returning to the program. “With five seniors and one junior anchoring our pitching staff we are looking forward to competing in every game we have on the schedule,” said caoch Pitzer. McConnaughey, Pierson, Hess, Fiscus and Barber will anchor the infield for Lynchburg this season while newcomers Chase Smaltz and Zairan Bourne will be expected to make the routine plays when they earn the opportunity. The Mustangs were prone to errors in 2018 and that is one thing that coach V.Pitzer knows his team needs to improve for this season to be successful. The expectations will be the same for outfielders Pitzer, Proctor, Briar Bourne, Pierson, and Barnhill. Coach V. Pitzer feels that the players manning the outfield for the Mustangs are speedy enough that they will be able to cover the field effectively. Lynchburg-Clay’s returning players will also be relied upon to produce offensively in 2019 and the stats from the 2018 season showcase a group poised for a big year. Wolfe leads the returners with a .385 batting average in 2018 while Pierson and D. Pitzer were close behind with matching .350 averages. Hess and McConnaughey also performed well last season with averages of .298 and .288 respectively. Wolfe was also the team leader in runs batted in during the 2018 campaign with 23, Hess had 18, D. Pitzer finished with 17, McConnaughey had 10 and Pierson totaled six. Pierson and D. Pitzer each scored over 20 runs during 2018 with 24 and 24 runs scored respectively while Wolfe, Hess and McConnaughey had 16, 9 and 14. Wolfe, D.Pitzer, Pierson and McConnaughey were also selective at the plate last season and combined to draw 39 walks for the Mustangs. Coach V. Pitzer said he is confident that all the players in his lineup will produce in 2019. “I believe any of our players one through nine in our batting order have the capability to put up good numbers this year,” said V. Pitzer. Lynchburg-Clay’s schedule gets off to a fast start with 13 games in 15 days to begin the season and coach V. Pitzer thinks that will help his team when the tournament rolls around. The Mustangs have set lofty goals for the 2019 season including making a run at the top of the Southern Hills Athletic Conference standings. “Our main goal is to get back to the top of SHAC. Then looking forward to see if we can make any waves come tournament time,” said V. Pitzer. With all of the excitement of a new season coach V. Pitzer is most excited for the opportunity that the seniors on the team have to set the standard for the underclassmen.